As you can see, Apple is the only company to offer iTunes match, which downloads every song on your iTunes automatically (including tracks not bought on iTunes, for a $25 fee). The other two services offer streaming music, which could eat into your data plan or become a hassle if you have a spotty internet connection. The iCloud, of course, is also the only service of the three that also offers cloud storage for documents, photos, mail, calendar and contacts, which is one of its biggest selling points. While Google Docs, Picasa and Gmail have been storing your information in a cloud for a long time now, Apple's seemed to have found a way to make the cloud a user-friendlier place. 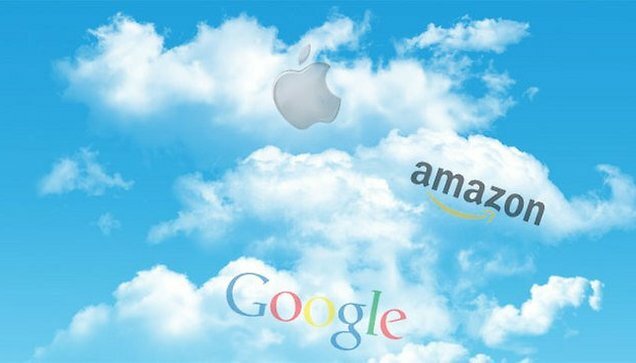 Unlike iCloud, though, Amazon and Google's music services sync to most any device, not just the iPhone, which could give these services a broader reach. Also, the fact that songs are streamable means that the user doesn't have to download all of them to his or her device, freeing up precious gigabites for other data.